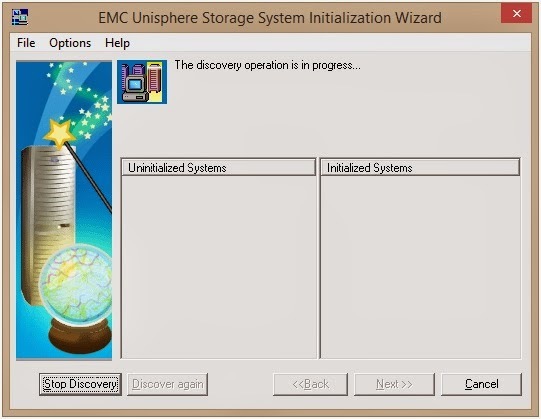 For VNX Unified system you don’t need a switch. 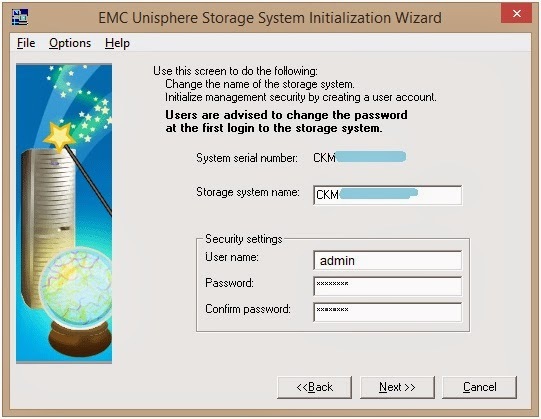 You can initialize it by connecting directly to the control station (CS0) management port. Following are the step by step installation procedure. 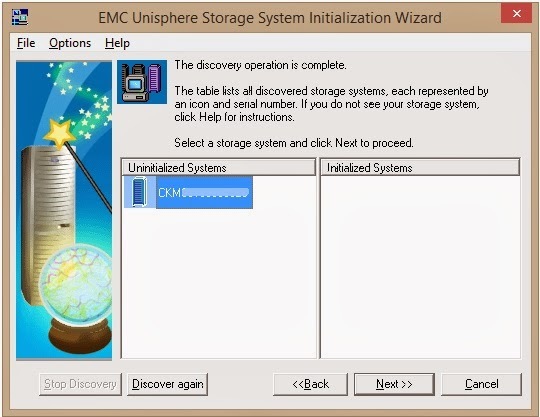 2-Launch EMC Unisphere Storage System Initialization Wizard. 3- It automatically discovers your system. 4- Select the systems and press next. 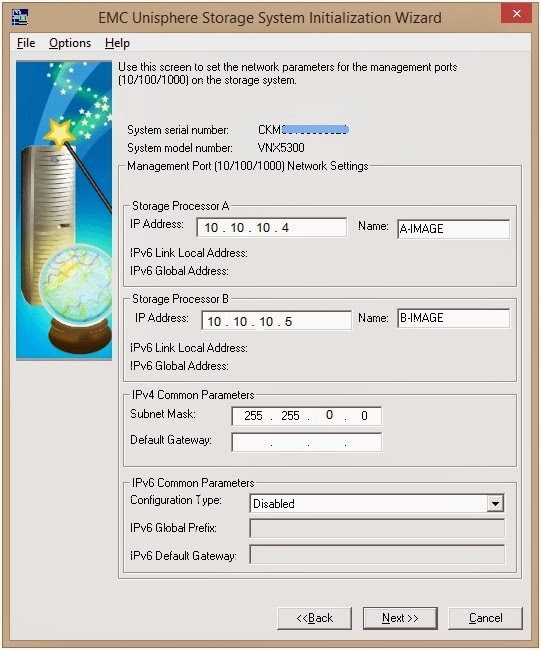 5- Supply network configuration with correct subnet and gateway address and click next. 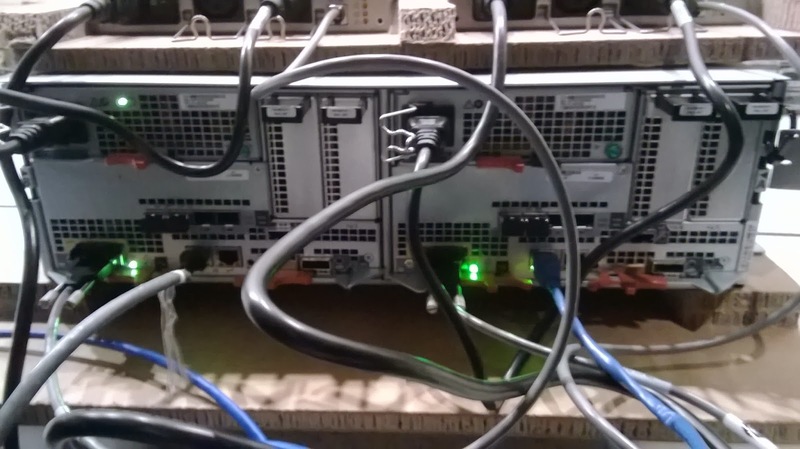 6- System needs to reboot to enable the new network configuration, click OK.
8- Type alphanumeric password and click next. 9- Confirm the configuration and click Finish. 10- You can create a shortcut to access your array through a browser. 11- Wait 10-15 minutes before accessing your array. 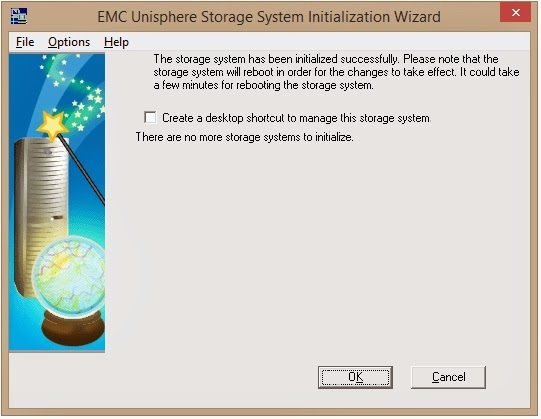 Also check "How to Upgrade VNX 5300 OE for Block"